invisibleSHIELD til HTC Desire HD. Optimal beskyttelse til din HTC Desire HD. Your search for a(n) HTC Desire HD case, skin, or cover is now over. 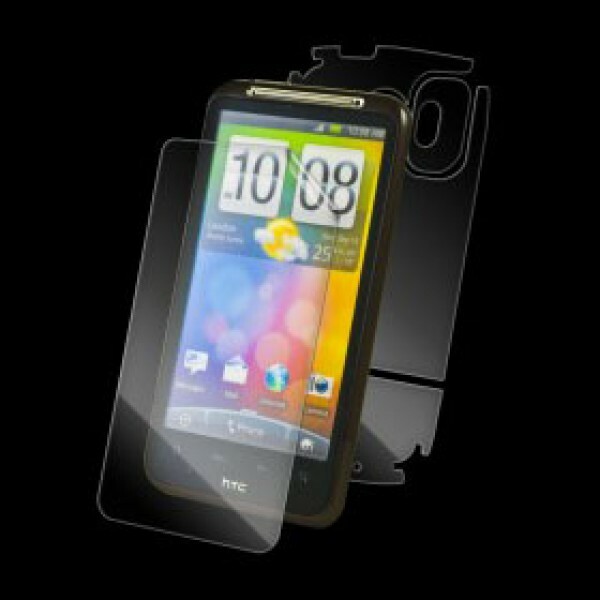 ZAGG's invisibleSHIELD™ is an exceptionally clear and virtually indestructible film that will protect your HTC Desire HD from unsightly scratches. Our exclusive, patented film – with nano-memory™ technology – covers and shields your device, keeping it as pristine as the day you took it out of the box. The precision pre-cut invisibleSHIELD applies directly to your HTC Desire HD, providing the toughest, most durable protection you will find. The invisibleSHIELD has its origins in the military, where it was used to protect high-speed helicopter blades from dust, dirt and debris. Now you can use that same powerful technology to protect your HTC Desire HD. The invisibleSHIELD is only .2 millimeters thick making it the slimmest HTC Desire HD skin or cover of its kind. And if you ever need to remove the invisibleSHIELD, no problem; it comes off clean and leaves no sticky residue.